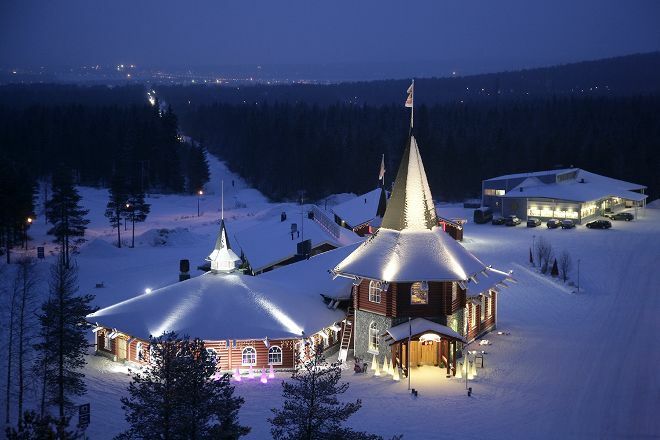 Christmas House Santa is located in Rovaniemi. Put Christmas House Santa on your schedule, and learn what else deserves a visit by using our Rovaniemi trip maker tool . We spent a whole morning and afternoon here, there are a lot of gift shops, every Kuching a lot of beautiful delicate gifts. We also send a lot of letters to friends, the name of the letter and the tickets are very beautiful, but as many send more than a little bit expensive. There are also some charge activities such as riding the deer car, but not cheap. Finally, we also visited the Santa Claus, Santa Claus and 靄, the children are very happy. A nice visit in the workshops. We didn't have the photo but benefited from the atmosphere of the cave. Love the place. Get the santa claus stamp at the post office.